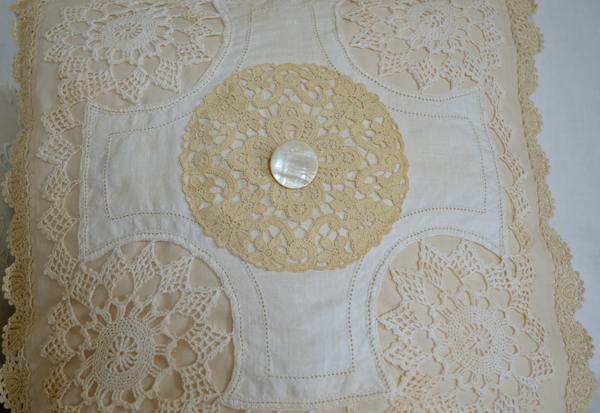 Oh my Terri, your pillows are little works of art, soooo lovely! Wow, Terri, such classy pillows. Adore them and makes me want to make some of my own...if I only had the time! Here, we are all eagerly awaiting summer and I have been busy working on a quilt for my sister's 50th and feeling the pressure. Maybe your hyperlinks are a result of the hacking? 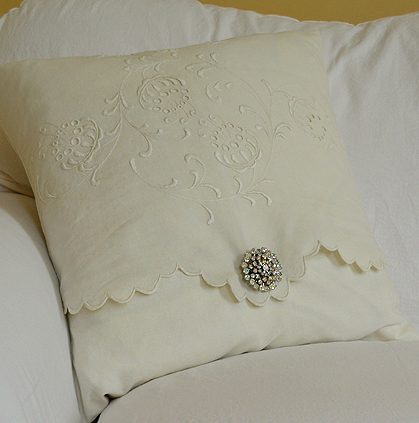 Gorgeous pillows Terri, I am drooling over the linen and MOP, bling, and all the vintage! I cannot wait to see your slipcover, I know it will be amazing! Thank you for all your kind words...I appreciate every one, you are such a wonderful sweet kind friend. 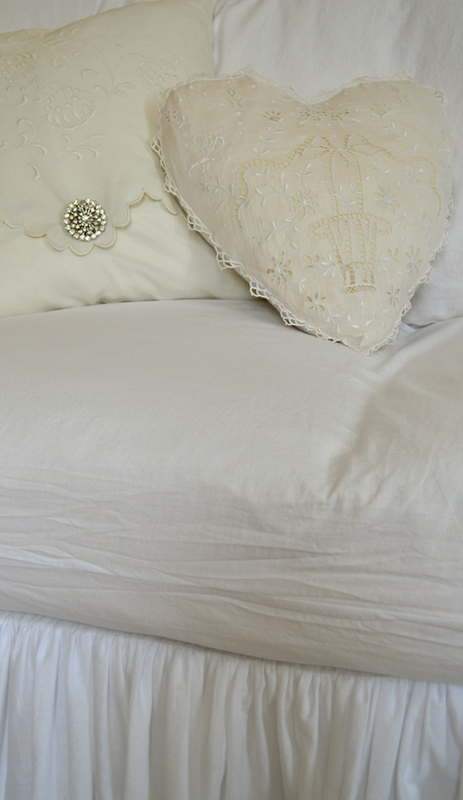 your pillows are just gorgeous - love them. As with everything you make, these pillows are grace and beauty made manifest. Thanks for sharing your magic. Bad things happen on your blog but this is perhaps the price of success? 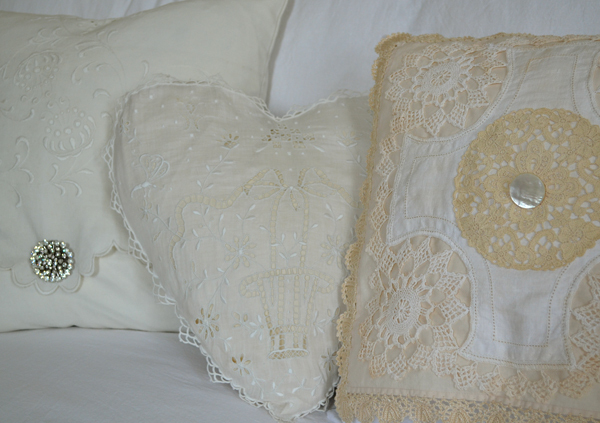 Terri your pillows are sooo beautiful- I just love the vintage, lacy soft look of them. Oh Terri, your pillows are beautiful!! Can't wait to see the whole picture! your pillows are amazing. I love the vintage look of them. Beautifully done.